November 8th & 9th, 2016, Paris, Porte de Versailles, France. For this edition, Multitech, Vertical M2M and DataPrint, the reference Multitech distributor in France have prepared a LoRa end-to-end demo involving their complementary expertises. 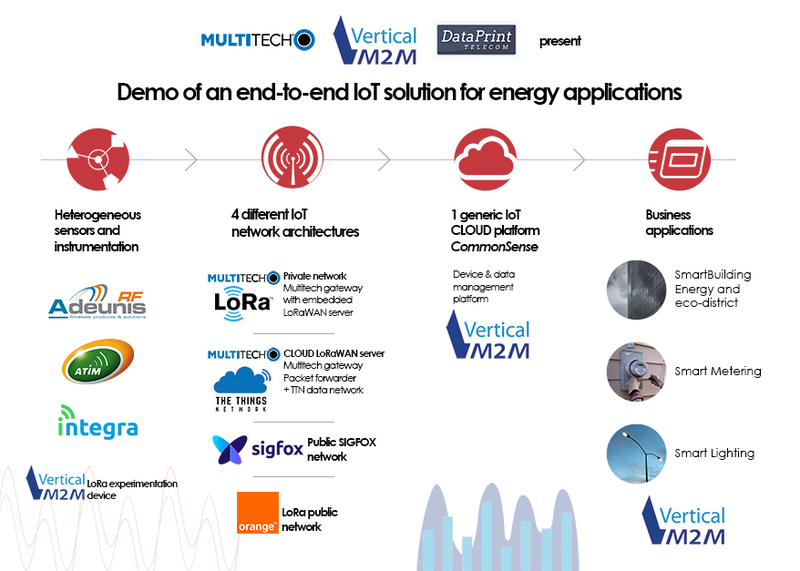 Some of our solutions will be demonstrated: multi-protocol and equipemnt remote management (including LoRa and SIGFOX on a single virtual network), Smart Metering and Lighting.